Arguably the greatest wine region in the U.S. has a new soccer club to pair with. 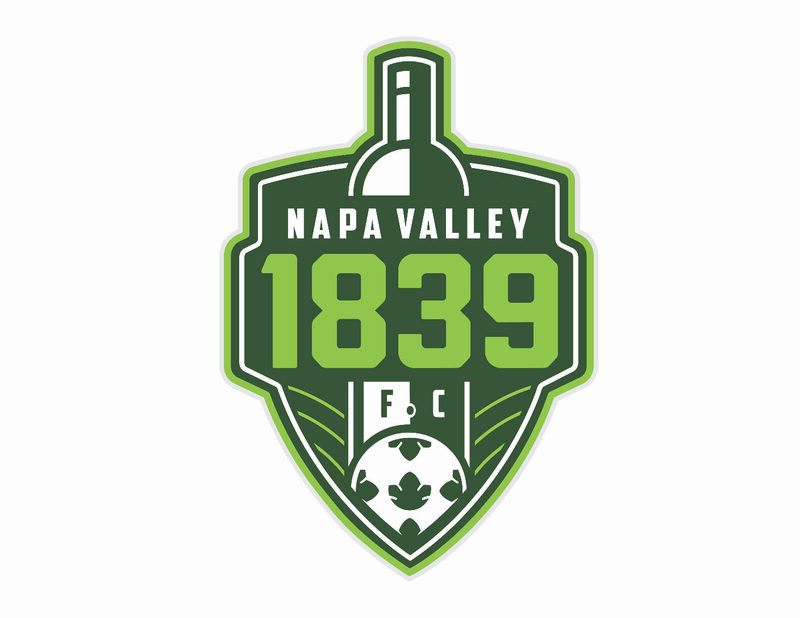 Located in Northern California’s Napa Valley, newly founded Napa Valley 1839 FC has joined the NPSL’s Golden Gate Conference, becoming the Golden Gate’s first new team since CD Aguiluchos USA joined in 2013. Napa Valley 1839 brings a strong front office staff and ownership to the NPSL, with an abundance of local and global soccer experience. Along with Napa Valley’s soccer history and its diverse and international community, the Valley is the perfect soil for a dynamic NPSL soccer club. The seeds for Napa Valley 1839 FC were planted more than a year ago when co-owner, Arik Housley, a board member of Napa United Youth Soccer Club, contacted then General Manager of the NPSL Sonoma County Sol, Greg Volker, about the possibility of starting the club. In the coming months, Volker put Housley in touch with Michael Hitchcock, the current owner of NPSL Fort Worth Vaqueros and former NPSL Commissioner. Housley and Hitchcock are co-owners of the new Club, along with Jonathan Collura, another Dallas-based sports entrepreneur, and Josh Goss who manages a local Napa area medical practice. Peter Weber, a board member of Napa United, is the Club’s managing director, and Volker joined as the general manager. “Housley has been a bridge builder,” said Volker in an interview. “He has merged several clubs together to form Napa United,” including a local youth soccer club that is currently growing the talent of more than 2,000 young players in the area. Hitchcock, on the other hand, has an abundance of previous experience in the national and global soccer community. Hitchcock was a former MLS employee for DC United, Colorado Rapids, and the LA Galaxy in the sales department before becoming the general manager of FC Dallas from 2005-2009. His company, Playbook Management International, currently owns Alfreton Town FC in the English 6th tier as well as Tobago FC Phoenix in Trinidad and Tobago. Between Housley’s knowledge and experience in building the local Napa soccer scene with Napa United, Volker’s knowledge of the NPSL Golden Gate Conference, recruiting players and what it takes to win the Conference as GM of Sonoma, and Hitchcock’s experience in the national and international soccer community, the front office foundations of this club are stacked. The Club will draw on strong local ties both to the wine industry, the community, and the local players. The Club’s logo represents these ties with a bottle of wine as the centerpiece of the crest. The bottle sits in a valley and on top of a soccer ball. But instead of a normal soccer ball, the ball has grape leaves replacing the usual soccer pattern. Finally, the name Napa Valley 1839 FC comes from the year that George C. Yount planted the first wine grapes in the Napa Valley. The Club has also partnered with Napa United to help grow the game locally. Believing that every soccer club needs a strong 1st team, Volker said, “Young players need a team to look up to.” By partnering with Napa United, Napa Valley 1839 hopes to help show off their local players to a wider audience. Napa Valley will play their home games in Memorial Stadium located in the heart of downtown Napa. Memorial Stadium is an historic stadium that is considered one of the top high school football fields in the nation, seating more than six thousand. Due to the ideal location and its history, this stadium brings immediate strong local ties to the community. In addition, the Club has set up a partnership with RaeSet Asian Grill and Craft Brew, located a half mile from the stadium as a fan head quarters. RaeSet will serve as the pre- and post-game meet up for the fans and will allow for a short fan march down one of Napa’s main streets and into the stadium on game day. The Club’s Head Coach, Jesus Medina, is also someone with strong local ties and experience. Medina has worked as a head coach with local college and high school teams, as a youth team coach for several NorCal Premier League teams, as well as a director of coaching of North Bay Elite and Napa Sport Soccer. He is joined by the first player signings to the team, Bryan Marin, Andrew Carlile, and Saiaz Saenz. The Club has some very high goals for this season and in general. Volker said, “We want to define our success on the field. We want to win a championship.” As for their players, “We want our youth players to be seen and get scholarships.” Finally, when asked about a potential friendly rivalry with former NPSL champs and last year’s national runner up, the Sonoma County Sol, Volker said, “A good derby is good for everyone,” and then jokingly added, “Maybe the looser gets jugs of wine dumped on them.” Sounds like the making of a Wine Country Derby. Napa will play a home friendly vs PDL SF City FC on March 18th. The NPSL home opener vs CD Aguiluchos USA will be on March 25th. Thanks to GM Greg Volker for the interview.